It's about 7 times more expensive to acquire a new customer than it is to retain an existing one, which is why it's so important to make sure that you listen - and crucially act - on what your customers are telling you. 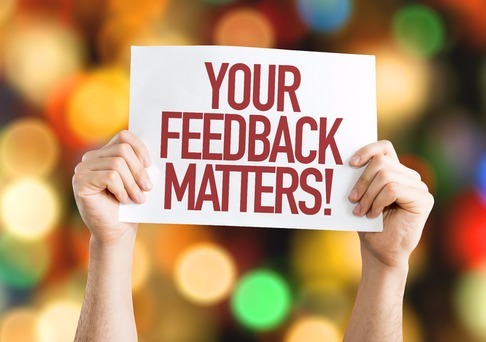 Too often customer feedback is seen as a box-ticking exercise, but when used properly it's a fantastic tool for driving real business advantage. Here's how to make the most from your customer feedback. Join the dots - There are lots of different channels for customer feedback - social media, mystery shopping, customer surveys, employee surveys (they're on the front line, what do customers tell them? ), complaints data. None of these sources can give a complete picture in isolation, but when they're brought together, they can give some very real insight into how prospective and existing customers view your brand. Remember that's it not only for the sales staff - Yes, your frontline sales staff massively affect customer experience. But don't overlook the impact that the rest of the company has in making sure you recruit the right people, train people well, offer real incentives, provide the best technology etc. Every single employee has a role and a stake in keeping customers happy, so make sure you regularly inform the whole company about how it's doing in this area. Include customer satisfaction in employee objectives - By tying recognition and reward to customer service, you help to create a more customer-focused culture. Review and discuss customer feedback regularly - No matter how often - or infrequently - you run formal customer satisfaction surveys, there'll always be new data to review, whether from social media, frontline employees or complaints. Regular exposure to how the firm is doing in terms of customer satisfaction will help to keep it at the forefront of everyone's minds. Consider the positive as well as the negative feedback - If all you ever talk about is customer complaints, your staff will come to resent customer feedback, making it easier for them to ignore it. Understand why customers think something's working particularly well and see if you can replicate it in other areas of the business that might be scoring lower. Share feedback in real time - Though it's essential that you have proper, in-depth discussions of feedback on a regular basis, sharing 'highlights' in real time can mean that negative behaviours are checked straightaway, while positive comments can incentivise and motivate the work force.